Rising populations, denser urban areas and existing security threats are forcing military and civilian emergency workers underground. 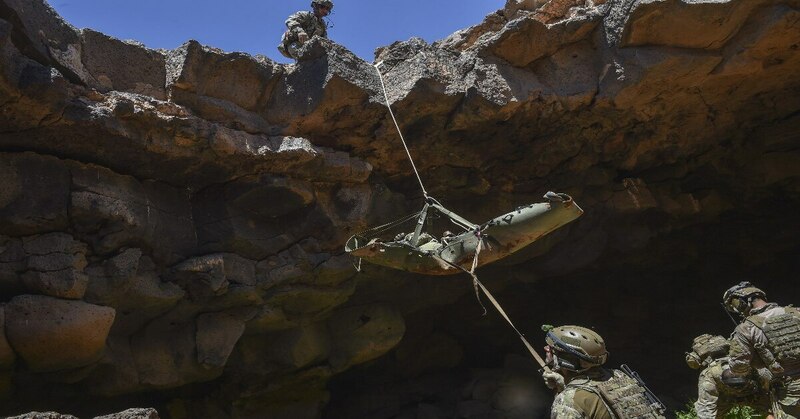 The ability to navigate these man-made tunnels and existing natural cave networks is the focus of the Defense Advanced Research Project Agency’s newest initiative. The DARPA Subterranean Challenge, or SubT, is soliciting proposals for new approaches to rapidly map, navigate, and search underground environments, according to a DARPA statement. Teams from around the world are invited to submit their methods for tackling time-sensitive underground challenges by Jan. 8. The selected teams will use their innovative methods to map subsurface networks under conditions deemed too hazardous to send human first responders. Teams will have the choice of competing in one or both of two research tracks: systems and virtual. The systems track seeks hardware and software that can be tested on a physical course. Meanwhile, the virtual track aims to develop software-based approaches to test on a simulated course. Throughout the challenge, DARPA-funded proposals will compete against self-funded teams in three circuit events and one final event. The circuit events will each focus on a different underground environment. The first circuit throws teams into a man-made tunnel network, and the second circuit focuses on underground networks in city environments, such as subway systems and sewer lines. Finally, the third circuit will focus on naturally occurring cave networks. In the final event, tentatively planned for 2021, teams will face a combination of challenges from all three types of underground environments. The winner of the systems track will take home a $2 million prize, while the winner of the virtual track will earn a $750,000 prize. 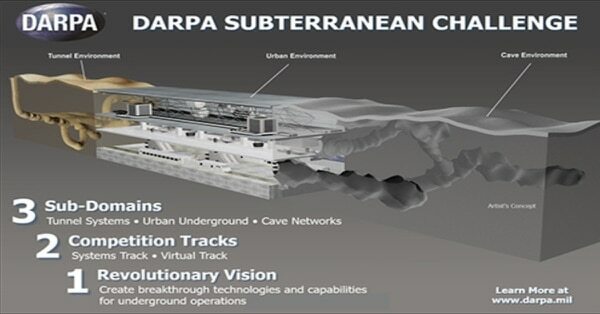 A DARPA Subterranean Challenge Proposers Day is scheduled for Jan. 18 in Arlington, Virginia. Advance registration for the event is required and available here. Registration closes at noon on Jan. 10 for onsite attendance, and noon Jan. 16 for virtual attendance, or until capacity is reached. A Broad Agency Announcement for the DARPA Subterranean Challenge is anticipated to be released in the coming months and will be available on FedBizOpps.gov.